What is a Sugar Addict? Okay, so if you are reading this, there is a great chance that you’re wondering if you actually are a sugar addict. 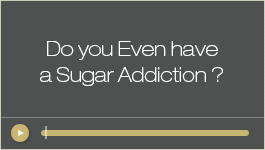 I know that is difficult to say, all the more to admit: “ME, addicted to sugar? !” What many sugar addicts have in common is the hard time they face coming to terms with the reality that, yes, they have grown addicted to sugar. What makes it tough to acknowledge their sugar addiction is that they are not even afflicted with the more common types of addiction. Maybe some of them do not even drink alcohol (although many major drinkers are also sugar addicts); some may not even have gotten close to any kind of drugs (or who knows, maybe some are battling with drug addiction alongside their sugar addiction), so it is hard for them to realize that they can really be addicted to sugar. How do you know if you even are a sugar addict? Take “The Quiz”, click here. 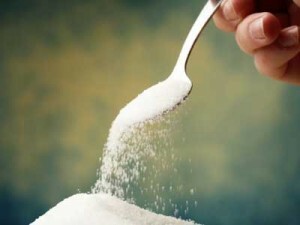 A person who has a strong pull or desire to eat sugar, either too frequently or in large quantities. A person who does not feel like they can say no to sugar, even when they know they don’t need it. A person who continues to eat sugar, even though it does have negative consequences in their lives. A person who just can’t seem to get a handle on it and stop eating it for a duration of time, even though they have tried over and over again. A person who feels like they struggle a lot with it and their cravings seem almost involuntary. He/she feels a strong compulsion to eat sugar; his/her mind keeps saying no, but his/her body couldn’t stop eating and craving sugar. As I said, these are just my own, vague descriptions of a sugar addict’s behavior, as I have witnessed. 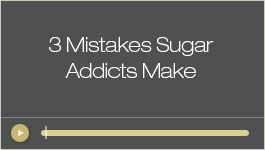 You can decide for yourself if you are a sugar addict by checking out a free internet seminar that I am doing on how to diagnose if you are a sugar addict and this one great tool, a free video that I made for you called The 3 Mistakes Sugar Addicts Make and How to Avoid Them. Sugar in moderation is not a problem; but the problem is that there is no such thing as moderation with sugar addicts. They have it all the time, whether they eat it in small quantities, or gorge on it, consuming thousands of calories in sugar in just one sitting – or spread out over a day or two. I remember those years when my meals were sugary desserts: breakfast, lunch and dinner. I know, I know. Give me a break, I WAS a sugar addict then, but now, not anymore. Thank God! 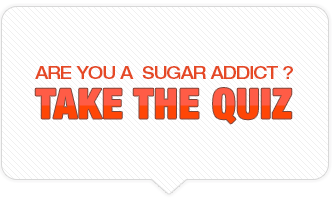 You want to know if you are a sugar addict? Click this link and take the QUIZ. So you may think, “Well I don’t have it THAT bad, so maybe I must not be a sugar addict.” Well, I tell you, if you were nodding your head to those questions up there, you just might be a sugar addict. What I discovered is that sugar addicts, and their addiction, vary greatly, depending on how deep and far their problems have gone. Some are way worse than others, but a sugar addict is still a sugar addict. Here’s the deal: if you can’t control sugar, and it actually feels like sugar is controlling you in some way, then you just might be a sugar addict. If you are ready to live in freedom and want to stop struggling being a sugar addict to finally take control of your life, check this out. « Can you Really be a Sugar Addict?